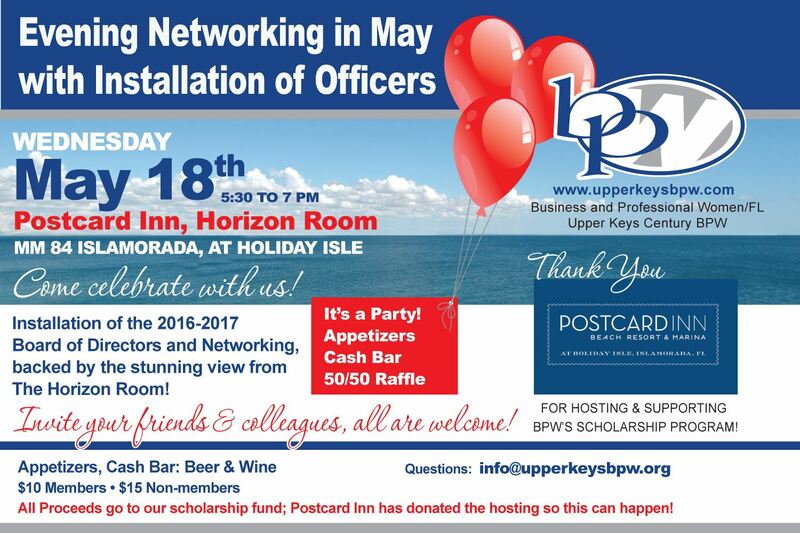 Join us as we install your 2016-2017 Upper Keys BPW Board of Directors hosted by the new and improved Postcard Inn at Holiday Isle. $10 for members $15 for guests. Register online today! We look forward seeing you and your guests for this FUN Celebration!